For all of the talk corporates in the Middle East make about their support of entrepreneurs in the region, there is also often criticism leveled against them on the premise that such endeavors are often all just, well, “talk,” and don’t really translate into real action or value for the people they propose to help. Many of these initiatives are also just flashes in the panthey are not conceptualized for the long term, and are essentially just one-off PR exercises for the organization running them. 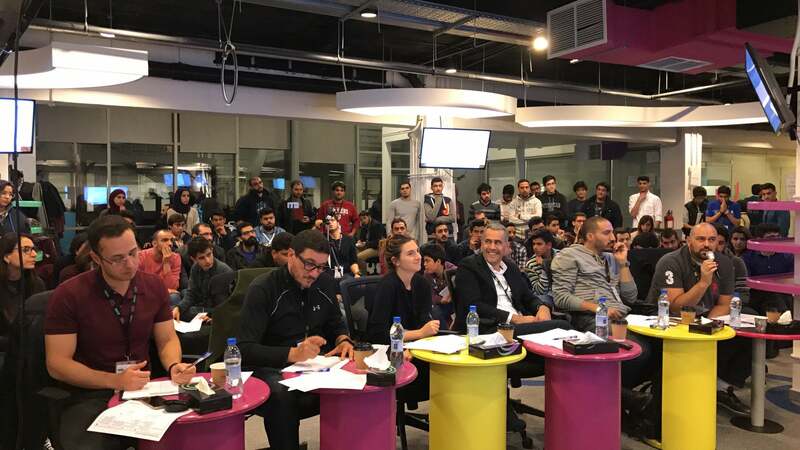 But while this may (arguably) be the status quo for the region, Zain Jordan has chosen to do things differently- and to give credit where it’s due, this telecom provider has been doing so since 2014, which was when it launched the Zain Innovation Campus (ZINC) at the King Hussein Business Park in Amman. Since then, ZINC has supported more than 40 startups, signed more than 70 strategic partnerships, and hosted more than 670 activities, with a total of 36,963 people having visited the institution- while these figures are, by themselves, indicative of this initiative’s success so far, the very fact that Zain had these numbers measured and ready to share impressed upon me the company’s dedication to ensure that ZINC has a definitive impact on Jordan’s entrepreneurial ecosystem. 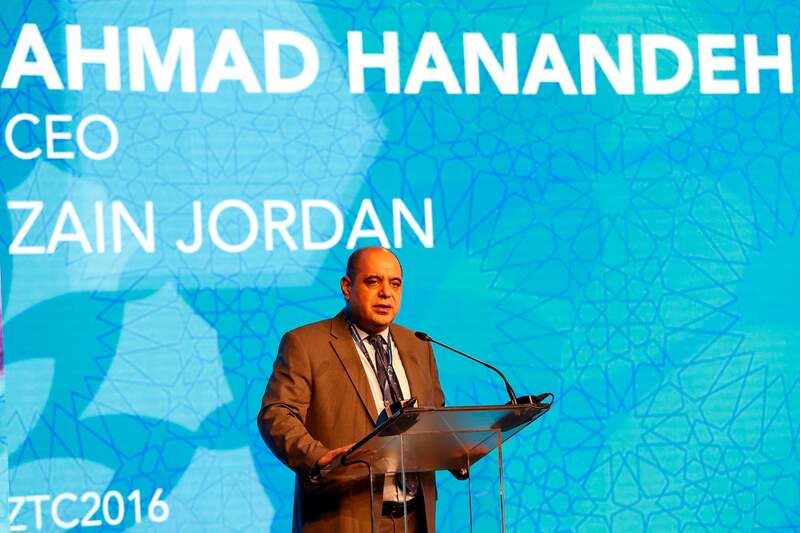 According to Hanandeh, ZINC is the realization of Zain Jordan’s strategy on corporate entrepreneurship responsibility (CER), a paradigm that was introduced to this region by Wamda Capital Chairman and CEO Fadi Ghandour. Hanandeh explains that CER is essentially an effort to get private companies more directly involved in supporting the entrepreneurial ecosystem. And Zain Jordan certainly seems to want to lead by example- for instance, the Zain Al Mubadara initiative is an idea stage fund that enables the conversion of innovative entrepreneurial ideas into viable business models and ventures. The first edition of the program saw Zain adopting 12 business ideas, while the second saw it take in a cohort of 20. At the same time, besides its own mentorship and coaching programs, ZINC also helps entrepreneurs gain exposure on both regional and global levels by supporting their participation in events like RiseUp Summit, Mobile World Congress, and the International Mobile Gaming Awards. Of course, ZINC has also played host to a number of entrepreneurial events and capacity building initiatives- these include Startup Week, MIT Enterprise Forum Innovate for Refugees, Adobe Inspire ME Creativity Conference, and more. Visitors to the ZINC campus have included high-profile names like their Majesties King Abdullah II and Queen Rania of Jordan, HRH Prince Charles, The Prince of Wales, and Amazon founder and CEO Jeff Bezos. Looking at the above achievements, it seems pretty clear that ZINC has delivered on many of the goals it had set for itself, and while Hanandeh agrees with that sentiment, he is also pushing ahead for its continued progress. “I believe that ZINC’s impact is truly comprehensive,” Hanandeh says. “It has inspired so many entrepreneurs, provided learning and exposure, allowed startups to focus on scaling, reduced operating cost for many entities working from ZINC, and provided entrepreneurs with mentorship and coaching. As for the future of the enterprise, Hanandeh says that ZINC will be focused on enhancing the performance of all its core components, and expanding in governorates in both the North and South of Jordan. Plans are being made on activating ZINC within universities in 2017, which will see the enterprise hosting workshops with public and private sector partners in an attempt to encourage students to pursue entrepreneurship and innovation in their future careers. Its ZINC Academy division is also plotting new courses that will teach startups the tenets of scaling and legitimizing business models. Given all that Zain Jordan has accomplished with ZINC so far, I asked Hanandeh for his advice for other established companies in the region who’d like to follow his organization’s lead with respect to supporting entrepreneurship and innovation in the region. “I would recommend that corporates start from within by implementing innovation practices the entire organization can adapt to the implementation of a CER strategy within the company’s existing strategy, vision, mission, and culture,” he replies. At the end of the day though, Hanandeh believes that such initiatives should be spearheaded keeping in mind the original objective for such activities. “I believe that corporates should always maintain a strong connection with the greater purpose/ vision of CER,” he says. “It is improving the overall local economy through youth empowering initiatives that will inspire, and eventually lead to, job-creating opportunities through innovation and entrepreneurship.” It’s a lofty goal, of course- but then again, Zain Jordan seems to be well on its way to realizing this ambition with ZINC, and other corporates in the MENA region can definitely follow suit.